My Mama told me to mind my manners. 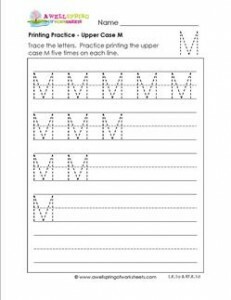 So mind your manners while tracing and writing the upper case M five times on each line. Focus and don’t mess with your friends.